Mr. Edwin Rwigi (Programme Officer for the Kenyan based organization Fahamu) reflects on the recent study conducted by Fahamu on African perceptions of emerging powers on the continent. The study aimed to gauge the extent that African civil society members are working on policy issues related to the presence of emerging powers such as China, Brazil, India, Turkey and the Golf States on the continent, as well as to gauge how grassroots civil society leaders perceive the presence of these countries in their communities. 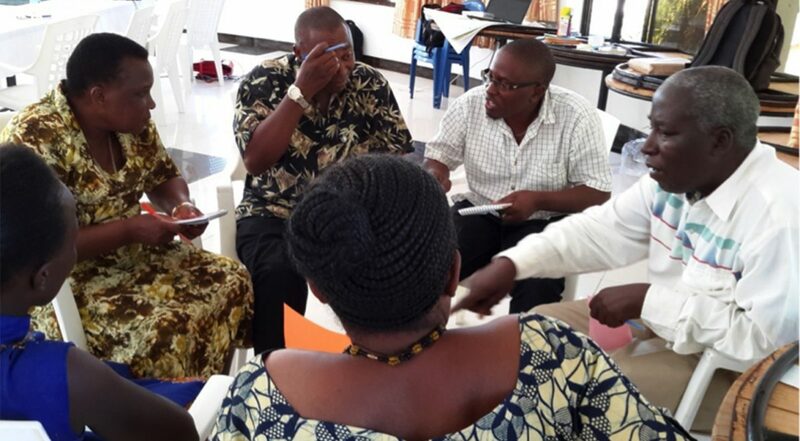 Fahamu conducted interviews and focus group discussions with grassroots civil society leaders in Tanzania and Uganda, as well as conducted an online survey with responses from 26 African countries. Edwin reflects on the results of the study, and presents the recommendations for action related to monitoring and holding accountable the presence of emerging powers on the continent. In the recent past, the emerging economies and the rise of South-South cooperation in trade and development has attracted much interest. The discourse and analyses of South-South cooperation, especially related to the emerging powers in Africa, has however primarily focused only on state-level political and economic interactions. Additionally, the voices of Africa’s civil society organization are seemingly muted in the South-South cooperation discourse, and there is an absence of clear African civil society response to South-South cooperation. This puts Africa at a risk of poor accountability mechanisms in resource governance, development management and human rights observance. It is in the context of an evolving geo-strategic landscape in Africa that Fahamu seeks to encourage the robust engagement of civil society actors in monitoring and understanding of the emerging powers’ presence on the continent. Towards this end, the Emerging Powers in Africa project conducted a civil society study which entailed a mapping of African civil society knowledge networks working around South-South exchanges; a survey of civil society actors regarding this niche topic; and case studies providing both first hand and anecdotal insights into community experiences. a) The capacity and representation of CSOs is underwhelming. The study found that there is a lack of capacity of African Civil Society as a collective in addressing and conducting advocacy for public interest concerns relating to South-South Cooperation. Many Community Based Organizations, for example, are unfamiliar with what South-South Cooperation entails let alone being equipped with relevant tools to engage in any form of critical development cooperation advocacy work. On the other hand, the work of the few civil society organizations that are able to participate in this seemingly specialist area tends to ignore and miss out on the community or grassroots component of development cooperation. It is this context that civil society participation in South-South Cooperation is mostly a reserve of development agencies, academia and think tanks, and international NGOs. This comes as no surprise considering that the discourse on South-South Cooperation in Africa has been framed in such a way as to highlight relationships between governments and corporations. The impact of this kind of development cooperation on communities and exchanges between peoples are consequently rarely brought to the fore. The study also found that the current and dominant discourses in international development are such that they do not prioritize funding for organizations keen on South-South Cooperation in Africa. Many of our survey respondents also suggested that African civil society organizations, in especially governance related work, are finding it harder by the day to secure resources for their work. Most of these respondents work on such issues as human rights, social justice, and democracy. It is emerging that governance as an umbrella thematic area in development has fallen out of favour with funding agencies. For an African organization to better stand the chance of funding today it needs to strategically orient its work towards the Sustainable Development narrative. It is in these changing times that African civil society is collectively forced to recast its mandate in order to access and secure traditional ODA (Official Development Assistance) channels – these aren’t particularly keen on the governance dynamics of South-South Cooperation in Africa. It therefore logically follows that African civil society actors are likely to design and implement projects that conform to prevailing ODA norms and not the locally perceived concerns. It is in this above described international development context that our Albertine, Uganda and Mwanza, Tanzania, case studies show the lack of focus and clarity of the mandate of especially civil society organisations constituted by and operating in the grassroots. Many of such organizations were found to have a deep financial dependency and expectations of corporations for programmatic support. These cases demonstrate how local civil society actors and communities are unable to independently develop their agendas. It was in the examination of grassroots CSOs interactions with especially Chinese contractors operating in their communities that this dependency was made evident. Our study findings suggest that both local communities and CSOs actors feel that Chinese contractors, like other Multinational Corporations (MNCs) familiar to them, are obliged to invest in community development programmes primarily as a show of goodwill to the community. 1. The discourse on South-South Cooperation needs to be contextualized for grassroots actors. The conversation needs to be meaningfully devolved down from the elitist domains of policy think tanks and international NGOs to the grassroots. 2. The said actors and communities require to be ‘empowered’ to meaningfully participate in the development management in the grassroots. The current mode of civil society engagement in these communities tends to be paternalistic, whereby local actors and communities play a subservient and dependent role in their interactions with government departments and contractors.